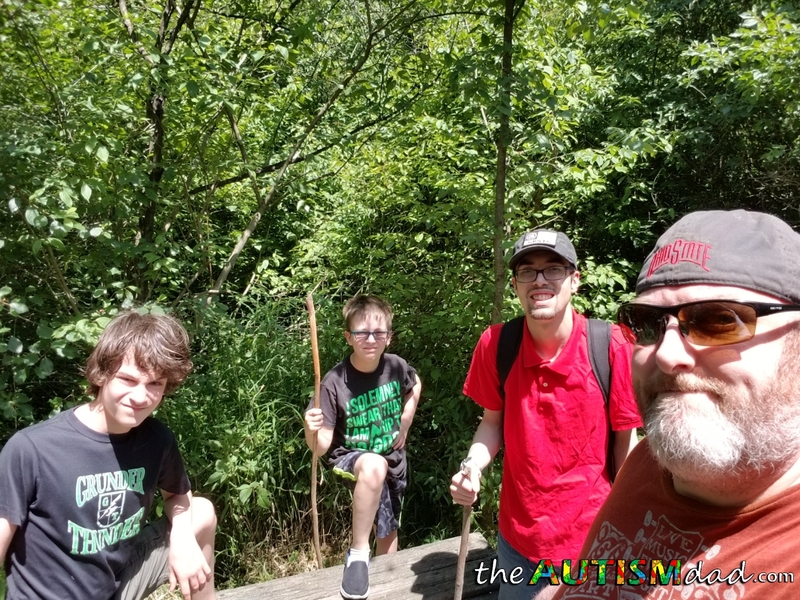 Over the last decade, I’ve put a great deal of focus on the fact that all people touch by Autism are unique and not cookie cutter copies of each other. 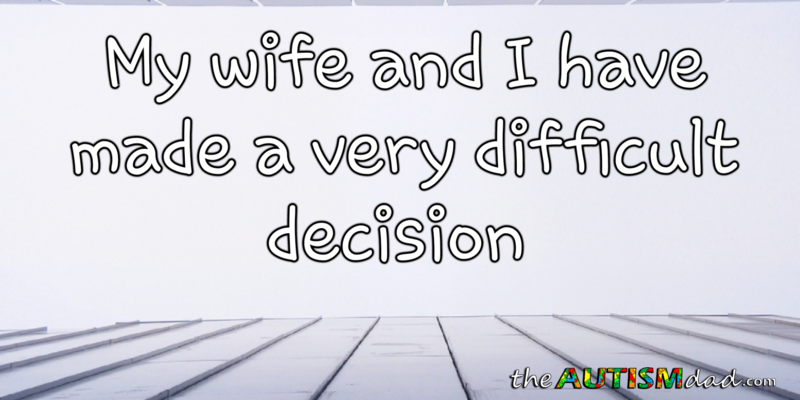 I also stressed the same applies to Autism families as well because no two are exactly the same. Both of these statements are true and sadly, too many people still don’t grasp this concept. 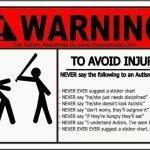 Stereotypes and assumptions still abound when it comes to anything Autism related. This post isn’t about reiterating the same old facts all over again. 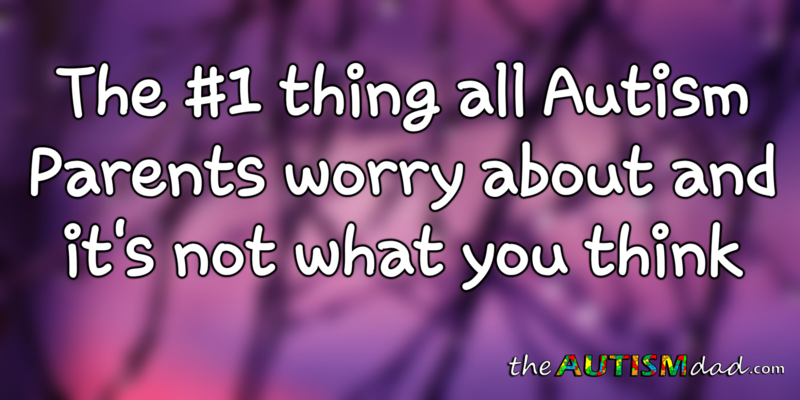 Instead, this post is about the number the one worry that all Autism parents share. Aside from loving our kids with Autism unconditionally and without limits, this is one thing that in my experience is absolutely universal. One might assume that we worry about things like bullying or how our kids with Autism are received by society in general. Maybe we worry about school, IEP’s and fighting for needed services. Those things are all true and they tend to be common worries. What I’m talking about however, is something much scarier for an Autism parent. 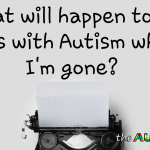 That fear is simply put, what will happen to my child with Autism, if/when something happens to me? This is responsible for many sleepless nights. No parent likes the idea of leaving this life and forcing their child to live without them. It’s heartbreaking for any parent to contemplate their own mortality and how it will impact their child or children. In most cases however, as devastating as losing a parent is for a child, they will still grow up, if they aren’t already and eventually move on with their lives. They will take all they’ve been taught along the way and use it to build their own life. 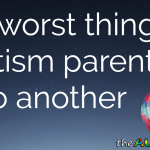 The reason it’s different for Autism parents is because our kids are different. Many of our kids with Autism will need to be cared for their entire life. They are unable to care for themselves and simply couldn’t survive on their own. Our oldest Gavin, is a perfect example of that. Even thinking about what will happen to our child after we’re gone is a terrifying experience. So many of us live in fear of this because we don’t know what to do with it. So many of our kids will need us to care for them throughout the duration of our natural lives. If you were to ask random Autism parents, what their single biggest fear is, majority of them would probably say that they fear what will become of their child should something happen to them. I wrote about an experience I had many years ago that really put this fear into the forefront of my mind. The post is called My Broken Heart: The True Story of the Bare-Handed man. Until I had that truely profound experience, I hadn’t given any thought to what would happen to my kids if something happened to me. That post went insanely viral and was picked up by news networks across the country. It was even published on CNN as well. Some of you may have found me that way as well. There’s a point to all of this. 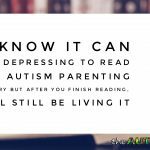 The reality is, for many Autism parents, we live with the knowledge that our kids will need us for as long as we are drawing breath. We worry about who will care for them when we are gone. This is about as real as it gets. These feelings are very practical and nothing anyone can say to us will appease them in any way. We can do our best to make arrangements via will and make our wishes known. Perhaps siblings will step up and take over for us when we can no longer be there. These are things that we must think about and plan for, regardless of how unpleasant it is. No one lives forever. I keep coming back to the fact that we are all human and therefor we must deal with all the limitations that go along with that. One thing we can do though is practice selfcare. Selfcare is the act of caring for oneself, even when it takes away from other responsibilities, in order to ensure that our physical and emotional needs get met. 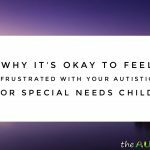 If we don’t care for ourselves, we are no good to anyone else, including our kids with Autism. The amount of energy that goes into being an Autism parent is simply unsustainable if we don’t take time to replenish ourselves. 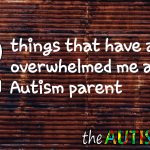 No one can deal with the amount of stress the average Autism parent struggles with if they don’t do what is needed to help minimize the impact it has. No one knows how much time they have in this life. We could be hit by a car tomorrow and there’s nothing we can do about that. That’s simply how life works. At the same time, we aren’t completely powerless either. The better we care for ourselves now, the more likely we are going to be able to care for our kids with Autism far into the future. 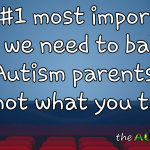 Selfcare is easily one of the most important things any Autism parent should do. Unfortunately, it’s also one of the least likely things an Autism will do. We must change that. Please remember that sometimes you have to be selfish before you can be selfless. For more information on the importance of self care and things you can do to better care for yourself, see: Autism Parents, you must be selfish. Rob, a living will is for medical decisions when someone can no longer give consent (such as taking someone off of life support). It will do NOTHING in terms of helping someone to make sure their children are taken care of. I know you’re trying to help people and I would hate for anyone to read and/or folow that and think that they had taken care of their kids. 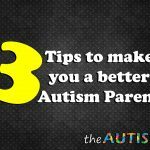 You hold yourself in high regard when it comes to having a voice in the autism community so it might be worth it to take a minute and research these types of things before hitting the ‘post’ button. You’re always so quick to correct me. I know you’re trying to help but it doesn’t help when you do things like this. You are correct about the living will but what you read was a typo. They happen and that’s all this was. Secondly, I don’t hold myself in high regard. I may be held in high regard by others but I do hold myself to a high standard. I don’t get why you seek to do these things. You’re undermining and missing the entire point of the post. I made a general statement, auto correct changed will to living will because I’ve been typing that lately in researching things related to Gavin. It was a typo. Rather than make this huge statement, maybe just point out the error and let that be it. You could have just said something like, “hey Rob, did you mean to say living will or did you mean will?” I would have then simply responded, that’s a typo, thanks for pointing that out. Instead, you almost seem to make it personal with your last sentence and that’s so not necessary. If you truly knew me, you would know that I’m harder on myself than anyone else possibly could be. I actually have a low self-esteem and have never held myself in high regard. I’m under a tremendous amount of pressure at the moment, more so than usual. This would normally be the kind of thing I would simply not bother replying to but you caught me on a bad day. Maybe you could take a minute and think about how your approach can impact me as a human being before hitting the “comment” button. I do take that minute, but when someone is wanting to be a voice in the community and that voice is giving incorrect information (typo or not) then I’m going to point it out because if someone were to follow that advice or think that was all that needed to be done it could have a lasting impact on their situation. Again, you could have handled this in a much better way. You could have emailed me directly and inquired about what I said. All you had to do was simply point out the error, which again, was a typo. I would have thanked you, made the correction and that would have been it. 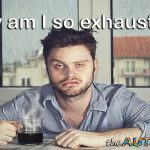 I write this blog from my phone and sometimes, mistakes and typos slip by. Instead, you take an approach that is unfriendly at best and a bit judgemental, to say the least. Maybe you’re having a bad day, lack people skills or just tact in general, but publically calling me out on an honest mistake the way you did and claiming that I hold myself in high regard, takes it to a different place. I make mistakes and yes, I am highly respected but not because I’m perfect or everything I say is right. I also don’t view myself as anything special. I’ve found myself in a position where I do have a great deal of influence in my community. While that doesn’t make me think highly of myself, it does mean that people look up to me and I take that very seriously. No one is coming to here for legal advice and you didn’t save anyone from “lasting harm” as you put it. You completely overreacted to something that could have easily been handled in a nicer way. I don’t need you to fact check things. If it makes you feel good to look for things you can correct me on, so be it. It’s annoying and the way you go about it makes it unwanted but you do what makes you happy. You aren’t saving anyone from anything and it’s things like this that discourage people from sharing their story publically. There was an Autism Mom just yesterday that quit sharing her family’s story because of people trolling. It was an honest mistake and your approach is inappropriate. How many other people read this post and didn’t allow one single word to take away from the overall message? The answer is quite a lot. You are the only person who felt the need to do this. If I make a mistake or there’s a typo that could possibly change the meaning of what I’m trying to say, I’m happy to make a correction where needed. That’s not the problem. As I’ve said many times, it’s not what you have to say but rather how you go about saying it that I have a problem with. And that right there is why I commented. I didn’t read your post looking to make corrections, but that was a huge error and I typed up a response to it. You didn’t like my response or the way I went about it and that’s fine. This has nothing to do with me fact checking; it has to do with me seeing it and knowing it was a mistake because I spent years working in the legal world, which is the same reason I tried to give you advice on Gavin’s guardianship last fall. I get that you are saying it’s a typo, but I genuinely didn’t want anyone to try to follow that advice. If that makes me a tactless troll without social skills, so be it. When you make the comment that I hold myself in high regard, it comes across as though you’re saying I have an inflated sense of self-worth or I have a high opinion of myself. Can you see how that might be taken as insulting or judgemental? It’s like you forget that there’s a person on the other end here, who’s struggling with life on a good day and barely surviving on the rest. People don’t come here because I’m perfect. You made a huge deal out of something that wasn’t a huge deal. Yes, the typo made it factually incorrect but a living will doesn’t cover those kinds of things and that would be obvious when or if someone were to try and enact one. It would have never actually been a problem or caused someone lasting harm. When you say things like that, I don’t think you realize the impact that can have. All I do is share my story and my experience. People assign a value to that and I take that seriously but never let it go to my head. If anything, it’s a tremendous amount of pressure most of the time. None of this was necessary and it’s stress I don’t need. In the future, a more tactful, less accusatory approach would be much appreciated.